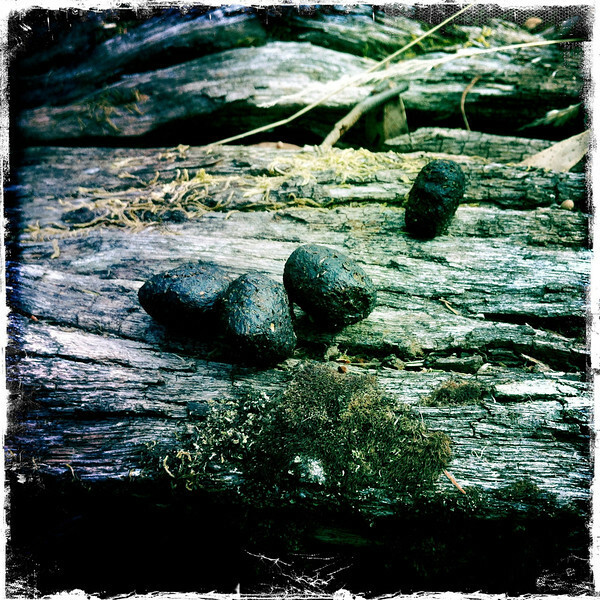 Wombat poo on timber. Upper Loddon State Forest. Jan 2012.